There’s still time to recruit applicants before the November 15 deadline! 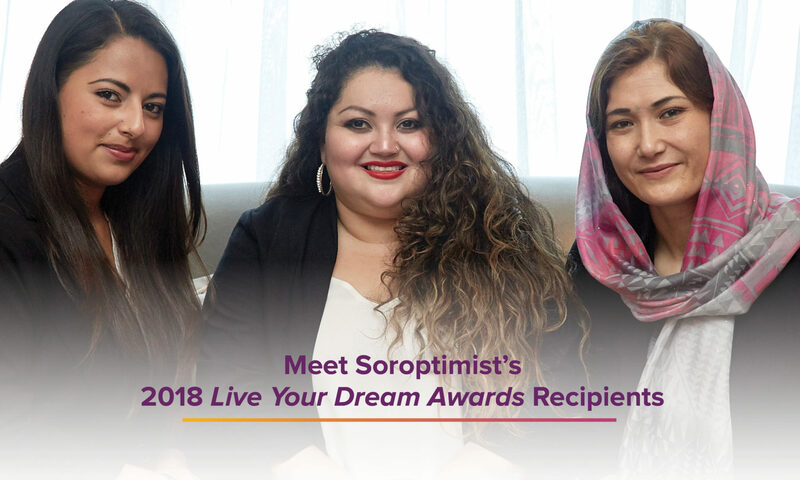 Check out Soroptimist’s applicant recruiting resources here. Our Live Your Dream Awards application received a makeover! It’s the same life-changing program and application questions, but a more streamlined and contemporary application process. Learn more about the exciting changes and review our FAQs resource for the new Online Application Portal (available now for US & Canada and coming in the future to all SIA countries and territories!). Are you a club chair in the US or Canada? Email lydawards@soroptimist.org to receive your application portal account details if you have not yet received them. Has your club hosted an amazing Dream It, Be It project? Gone above and beyond to equip girls with new tools and resources to be successful in reaching their dreams? SIA headquarters wants to know about it! We are always looking for outstanding club projects to feature on social media and in newsletters and presentations. When reporting your club project via the Reporting and Evaluation Online Form, be sure to include quotes, stories, and photos of girls (with their permission)! Reminder: Report your club project by June 1. Check out these videos of outstanding Dream It, Be It projects!